It’s been a long time since I posted a muffin recipe – I’ve been enjoying my quick barley bread Karask too much! Maybe it’s because I hadn’t had muffins for a while or the recipe just turned out so perfect, but those muffins were a real delight. 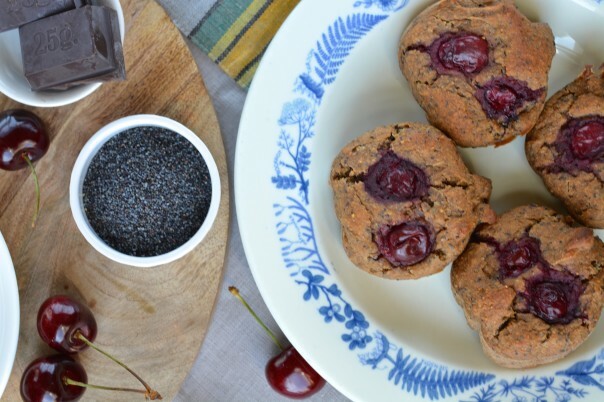 My spicy cherry-poppy seeds muffins are plant-based, gluten-free, oil-free, use no artificial sweetener and are made of whole food ingredients. Chop the figs and soak in plant-based milk for at least half an hour. If you soak them longer, place them in the fridge. While the figs are soaking combine all dry ingredients in a bowl and finely chop the chocolate. Place the figs and milk in blender. Add all the remaining wet ingredients and blend until smooth. Pour the wet mixture on dry ingredients and mix well. Make sure there are no lumps. Now stir in chopped chocolate. 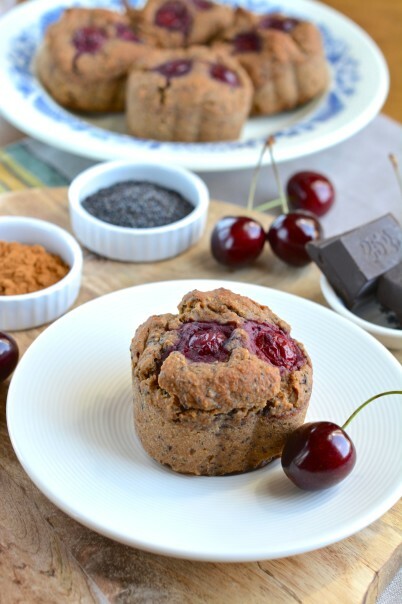 Fill 12 muffin forms (I use silicone forms) with the dough and finally stick two cherries into each muffin. Bake for 25-30 minutes. Let cool a bit before you try to remove them from the forms. If you don’t have chilli chocolate, add some chilli powder to dry ingredients. 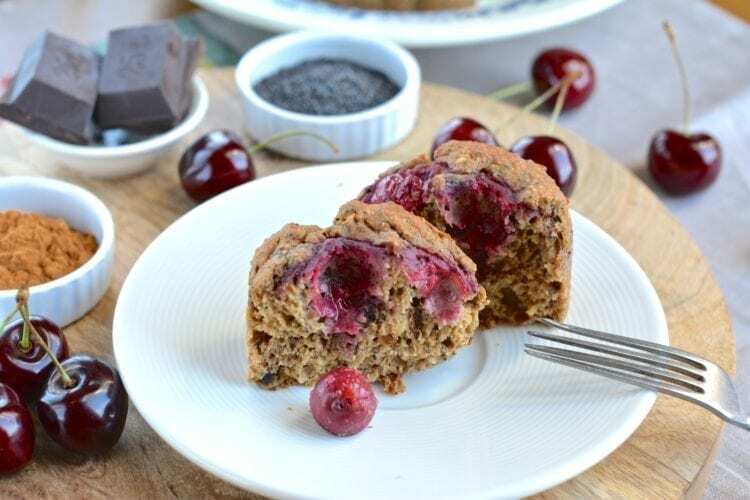 Nutritional info per muffin: 218 kcal, 36.8g carbohydrates, 5.4g fats, 5.5g proteins, and 6.42g fibres.